President Trump called on his attorney general to end the Russia probe being conducted by special counsel Robert Mueller immediately. He called Mueller's investigation a "terrible situation" in a tweet, and tweeted, "Attorney General Jeff Sessions should stop this Rigged Witch Hunt right now, before it continues to stain our country any further. Bob Mueller is totally conflicted, and his 17 Angry Democrats that are doing his dirty work are a disgrace to USA!" But Sessions recused himself from the Russia investigation in 2017. 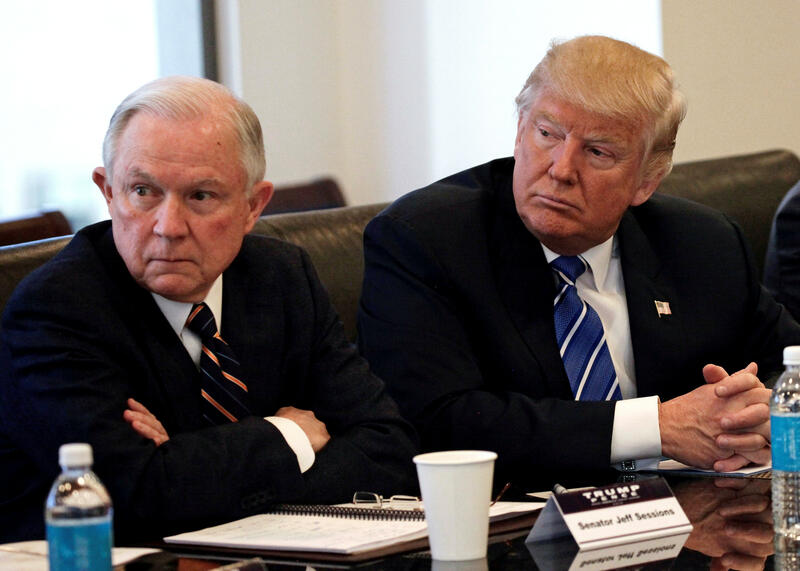 Mr. Trump has complained bitterly about Sessions' decision to recuse himself, and he has said he would not have named Sessions attorney general had he known that Sessions would step away from the probe. Trump attorney Rudy Giuliani tweeted, "We have been saying for months that it is time to bring this inquiry to an end. The President has expressed the same opinion." But Jay Sekulow, who also represents the president, clarified that, "The President did not issue an order or directive to the Department of Justice." In his series of tweets Wednesday morning, as the fraud trial for his former campaign chairman Paul Manafort was about to resume, Mr. Trump both protested that Manafort had worked for his campaign only briefly and defended him for what he considers to be a sham trial. "Paul Manafort worked for Ronald Reagan, Bob Dole and many other highly prominent and respected political leaders. He worked for me for a very short time," he tweeted. "Why didn't government tell me that he was under investigation. These old charges have nothing to do with Collusion - a Hoax!" In another tweet, the president suggested that Manafort was being treated poorly -- worse than mobster Al Capone. "Looking back on history, who was treated worse, Alfonse Capone, legendary mob boss, killer and 'Public Enemy Number One,' or Paul Manafort, political operative & Reagan/Dole darling, now serving solitary confinement - although convicted of nothing? Where is the Russian Collusion?" Manafort was jailed prior to his trial when the judge in the case ruled that he had tried to tamper with witnesses. His lawyers said at one point that he was being held in solitary confinement 23 hours a day. The special counsel refuted this characterization and noted that Manafort had been heard telling someone he was being treated like a VIP. He was housed in a private living area, had his own bathroom and shower facility, a personal phone and a workspace to prepare for trial, according to the special counsel. Capone, like Manafort, was tried on tax evasion in 1931. He was convicted and languished in Atlanta Penitentiary where he worked in the prison overall shop, according to the New York Times, before he was moved to the newly opened Alcatraz. While serving out his sentence there, he suffered superficial wounds when he was stabbed in the prison laundry room.